Legal agreements within the energy industry tend to be highly specialized and — depending on their purpose — can be quite complicated. From a drafting perspective, however; I often find that the same care and attention is not paid to the ubiquitous “boilerplate” provisions as to the rest of the contract terms. This is a mistake. Whether reviewing or drafting a contract, it is important to make sure that the boilerplate terms reflect the intent of the parties, do not conflict with other contract terms and adequately protect your interests. While many parties do not like to make changes to their “standard” terms, they almost always do when it is reasonable and logical under the circumstances. Boilerplates typically include items such as: Indemnity; Limitation of Liability; Choice of Law and Venue; Force Majuere; Assignment; Integration or Merger clause; Severability; Waiver; Amendment and Attorney Fees. The fact that these provisions are relegated to the back of the document creates the wrong impression that they are unimportant — or at least the impression that it is unimportant to negotiate and draft them carefully. This is an important point. While the rest of the contract lays out each party’s respective performance obligations, the enforceability of those obligations often depends on the boilerplate. For example, a breach of contract that — per the boilerplate — must be enforced within hours of discovery in Pago Pago, Samoa, is fundamentally different from the same obligation enforceable with six years in the local state court. It is a mistake to assume that these contract terms are all the same simply because they tend to appear in a vaguely familiar permutation in almost every contract. In reality, just a subtle difference in wording can produce the exact opposite outcome between different contracts. For example, in drafting a limitation of liability provision, inserting the word “gross” in front of the word “negligence” substantially alters the parties’ respective risk exposure. In some situations (for example, where a complete contract is presented by one party to another for execution), there may be an inference or expectation that the boilerplate terms are “standard” and therefore non-negotiable. This should not be accepted as a given. The fact is that both parties may each have their “standard” boilerplate terms and they are each entitled to negotiate them into an agreement. While many parties do not like to make changes to their “standard” terms, they almost always do when it is reasonable and logical under the circumstances. Another thing to look for in any contract are boilerplate terms that actually conflict with or contradict other obligations in the agreement. This happens, for example, where the parties have negotiated very detailed arbitration provisions for the sole purpose of avoiding going to court — and then they tack on a standard venue selection clause that says that all disputes must be subject to the exclusive jurisdiction of the local state court. We all seem to have either an inherent or an ingrained sense of fairness that dictates that boilerplate terms must be reciprocal —that they would apply equally to both parties. This is not the case. The performance obligations between the two parties — and the risk faced by each party for an event of default — are seldom symmetrical. In atypical power purchase agreement, one party’s obligation is simply to pay money while the other party’s obligation is to deliver power. It does not follow, therefore, that both parties should be subject to identical provisions regarding assignment of their rights or limitations of their liability The boilerplate terms should reflect the relative risks and enforcement needs of the parties, rather than just defaulting to generic reciprocity. Of all the boilerplate terms, I have found that indemnity provisions can be the most vexing. These provisions tend to be very legalistic — in some cases to such a degree that they are virtually unintelligible. But this need not be the case. A well-drafted indemnity clause can and should be drafted in plain English. They should almost always be limited to third-party claims. Some indemnity clauses go into too much detail describing the process by which one must obtain indemnity. For most contracts, however, all that is needed is the basic allocation of responsibility for defending and paying covered third-party claims. In my experience, it is not uncommon for canned boilerplate terms to have a limitation of liability provision that is overly protective of the drafter In many vendor agreements, for example, the vendor’s liability is limited to the amount of the contract. This simply does not work where the vendor is installing a $ 100 part that causes significant damage to a $1 million machine. Any limits on liability should be calibrated to reflect the magnitude of the harm that each party is likely to experience, based on a breach of the agreement. The choice of law and choice of venue provisions are easy where both parties are located in the same state. Where the two parties are located in different states, however the drafter will almost always insert their home state law as the choice of law. In reality the laws between states with respect to most business transactions are so similar that it seldom matters which state law applies, because the outcome is likely to be the same. The exceptions are when the contract calls for personal services to be provided in a single state, or when the contract concerns real property. In such cases, the choice of law probably should be that of the state in which the property is located or where the services are to be provided. Many contracts have a venue selection clause, which dictates the court of law that would have jurisdiction over a dispute between the parties. The choice of venue can make a significant difference in whether a breach of contract gets enforced at all. Avenue selection clause, which imposes a significant logistical burden on one party to enforce the agreement, can be a very powerful deterrent against that party bringing legal action in the first place. One example is that many financial contracts state that claims are subject to the exclusive jurisdiction of the federal court for the lower district of Manhattan. The best way to deal with these one-sided provisions is just to take them out altogether and allow each party to file suit in the place of their choosing. Another option is simply to delete the word “exclusive” from the clause — so that the parties may agree that a particular court has jurisdiction without foreclosing the possibility of bringing suit in a different court. A “merger” or “integration” clause is often included in an agreement to signal to a court or arbitrator that they are not to look beyond the four corners of the document in order to interpret its meaning. This clause almost always says that the agreement is “the entire agreement between the parties concerning the subject matter.” While this is true of most simple contracts or one-off transactions, more complicated transactions often involve multiple transactions that deal with different aspects of the same subject. In many cases, therefore, it is more accurate to say that the executed agreement between the parties is the final agreement, rather than the entire agreement. Calling it the final agreement should be sufficient to prevent the other party from using as evidence, any contradictory correspondence or drafts that led up to the executed contract. Many contracts have a term that states — in essence —that if a court or arbitrator finds one provision of the agreement to be unlawful or unenforceable, then the offending provision will be “severed” from the rest of the agreement, which will remain enforceable. It seems that this could be a bad outcome for one or both parties, depending on the nature of the obligation that is being left behind. It may be that the severed provision was the essential consideration that induced the party to execute the agreement in the first place. A more nuanced version of this type of clause would require the parties not just to sever the unlawful provision, but also to negotiate with each other to replace it with new (presumably enforceable) language, which would give effect to the parties’ original intent. This is an easy fix for drafters who are willing to put in the effort to get the boilerplate right. 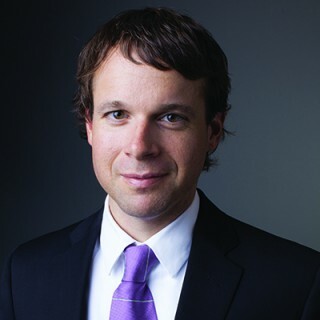 Since graduating with his law degree from Harvard in 2000, Richard Lorenz has built expertise in the energy industry, taking on siting and financing power generation projects, drafting power sale and purchase agreements, dealing with the acquisition and/or disposition of utility assets, derivative transactions for risk management, dispute resolution, and other general regulatory matters. He can be reached at rlorenz@cablehuston.com.